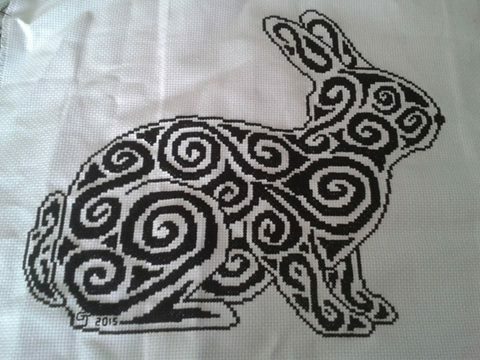 Tribal Rabbit is a charity chart measuring 146 stitches wide by 135 stitches high and has been designed for you to use whatever colours you choose for stitching. It is perfect for hand dyed threads and fabric. If stitched as charted, and on 14 count fabric, it is estimated that you will need 3 standard skeins of thread to complete this project. Half of the money made from the sale of this chart will be given to the monthly charity. The first picture was stitched by Gaynor. 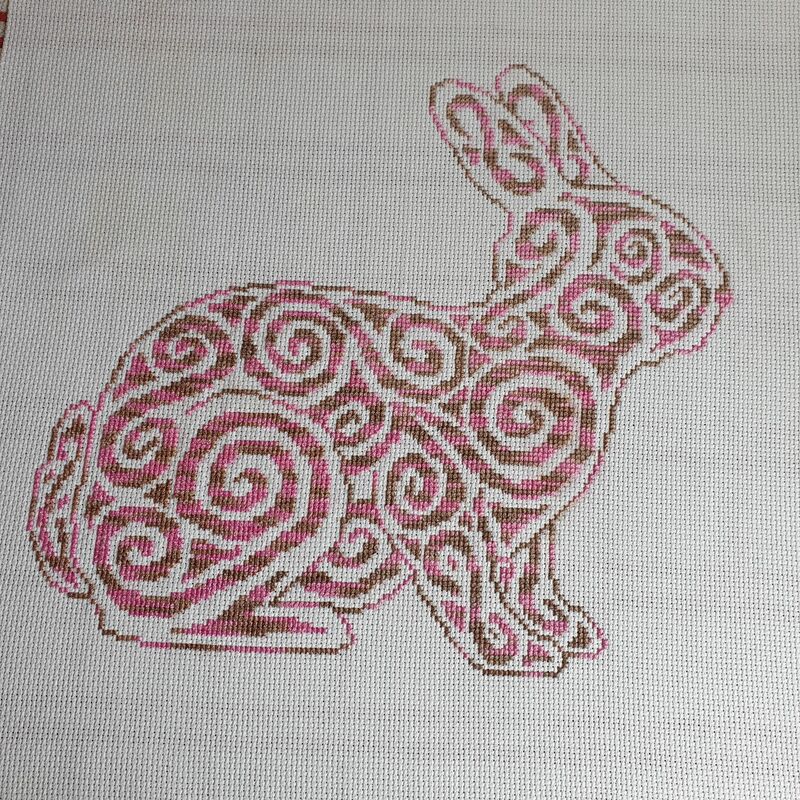 This is a lovely design which Kim designed to support a rabbit charity in Australia for the month of March 2014. It was sent to me promptly by PDF and I am really enjoying stitching it.